Today’s trend in warehouse logistics clearly favours multi-user centers – a path which the FIEGE Group has been pursuing resolutely since the early 90s already. Its FIEGE Mega Center to the south-east of Hamburg currently serves clients from a variety of logistical areas. The facility masters many different customer requirements with great flexibility and competence. FIEGE is the ideal partner when it comes to outsourcing and contract logistics. From fashion items to complex industrial logistics, from tire logistics and durable consumer goods to healthcare & medical logistics: we have a made-to-measure solution for your every need. Picture this: out of all the logistics companies, you would have to pick the one that best fits your products. And now, picture this: you find the very partner whose integrated supply chain solutions cover your entire value chain. We are your competent partner when it comes to handling promotional non-food merchandise. We respond to your wishes any time, all the time, and flexibly. At our Hamburg location, we offer customised solutions that cater to your requirements – for both, national and international road transports. We provide contract logistics solutions set in a dynamic environment with established procedures, for you to capitalise on the experience of the entire FIEGE Group. Whether Fair Trade coffee from Brazil or a full container load of machine parts and garments from Asia: no matter what you wish to ship, we have the best possible solution ready for you. 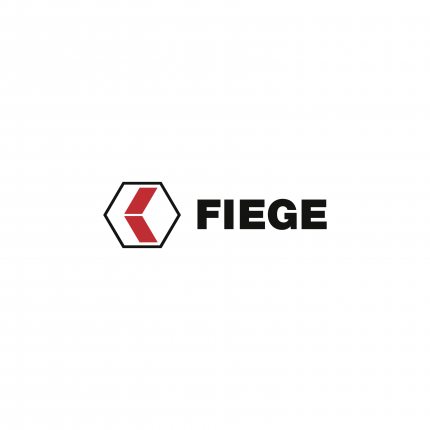 Draw on the full range of competence from FIEGE’s very own customs services company. Our customs specialists are on location for you in Hamburg. A strong partner who weathers any storm. The FIEGE Mega Center at the logistics hotspot in Hamburg. We weigh in on even the smallest detail. FIEGE Hamburg - always an idea ahead. We have years of experience in warehousing. The Swopper supports us in customising our service to your individual need. FIEGE Hamburg - your strong partner to help you stay on track. ... and demonstrate extreme flexibility for textile logistics. The Mega Center Hamburg provides a number of value added services plus a tried and tested supply chain management system. Our innovative, efficient and effective approach allows us to continuously improve our sustainable logistics concept to successfully master complex challenges, while securing our clients’ respective competitive lead. Our Hamburg-based facility allows us to provide extraordinary flexibility and creativity. This offsets seasonal peaks, helps with the effective planning of our resources and affords us maximum flexibility for all types of value added services. Here in Hamburg, we meet maximum security standards. An access control system, 24/7 video surveillance that covers the entire grounds, an intra-company security service as well as safety cages for premium products support us with the implementation of these standards. A fire alarm system monitors the entire storage area. Each warehouse has its own shelving and ceiling sprinklers and features an autonomous water supply to assist fire-fighting efforts. With its direct access to the A1 and A7 motorways as well as its proximity to the international port – a mere eight kilometres away – the logistics hotspot Hamburg enjoys the added advantage from these optimum distribution channels. The storing and shipping of goods that are subject to excise duties require special attention and care. Here in Hamburg, we are highly versed in managing tax warehouses and EMCS shipments. We have been issued the required permits. We take on your requirements and combine security, safety and climate protection with next level services. This leads to the sustainable implementation of an integrated, interconnected management systems that favours a preventive approach. Our Team Quality offers individualised advice and support with the introduction, maintenance and further development of management systems.